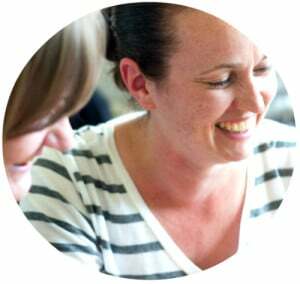 Year 2 Class Teacher, Lucy Allsopp, and Year 2 Learning Assistant, Helen Baker, explain how they have been using IRIS Connect to help them work as a team and improve teaching and learning. IRIS Connect: How did you get started working with IRIS Connect? Lucy: It’s definitely improved our relationship in the classroom. This is my first year of teaching but Helen has worked here for 15 years, so we had different experiences and ideas about what was happening in the classroom. Instead of having an awkward conversation about it we both sat down individually with Education Consultant, Mike Fleetham, and looked through our video reflections discussing what we didn’t like. Then the three of us came together and worked out what we were going to change. Since then we’ve done a mixture of watching the reflections back together and independently, but also with Mike. It depends what we’re looking for or what our focus is. IRIS Connect: How has it helped you both? Lucy: At the start we were like two separate people working in the same space but doing our own things. Whereas now we’re a team, we know what each other wants and we get there together. Helen: I think it’s gone really well. It’s made me feel more confident about what I am doing in the classroom even though I’ve been working here for years. It’s made a big difference to both the learners and us. 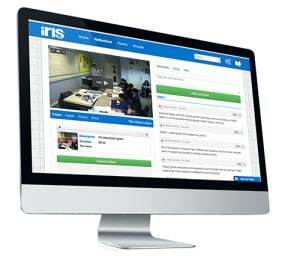 IRIS Connect: How has it affected the learners? Helen: Our approach to marking was one of the big changes we made. Before we used to sit down at the table and work with a group of children, they used to bring the books to you and sometimes we’d have a big queue and not even realise. Now we go round and mark over their shoulder. More work’s being done because they’re not hanging around in a line or messing about. Lucy: It’s changed our whole class environment, everybody’s much more focussed. They know that we are going to come round. It’s definitely allowed us to improve what we’re doing quickly. Helen: It’s really interesting to look back at the footage from the beginning of the year compared to now. Before, there were lots of children getting out of their seats, being silly and distracted, we both had queues of children lining up and they just weren’t on task at all. But now we can see that it’s a lot better. Now all of our children sit in their seats and are always working.